Despite a delay to the start of the Republican National Convention, Monday's major protest march in downtown Tampa is scheduled to go on. Jared Hamil, spokesman for the Coalition to March on the RNC, says he hasn't heard of many cancellations among the expected 5,000 protesters, so they'll brave the storm. "The weather is not working in our favor, but we will be wet, we will be angry, but we'll still be here," Hamil said during a Sunday press conference in Perry Harvey, Sr. Park, where Monday's events will start with a 10 a.m. rally. Former Florida Gov. Jeb Bush will address the Republican National Convention on Thursday, with other changes in a new schedule released this evening. Organizers were considering extending the convention, delayed a day due to Tropical Storm Isaac, but the new schedule does not reflect that change. 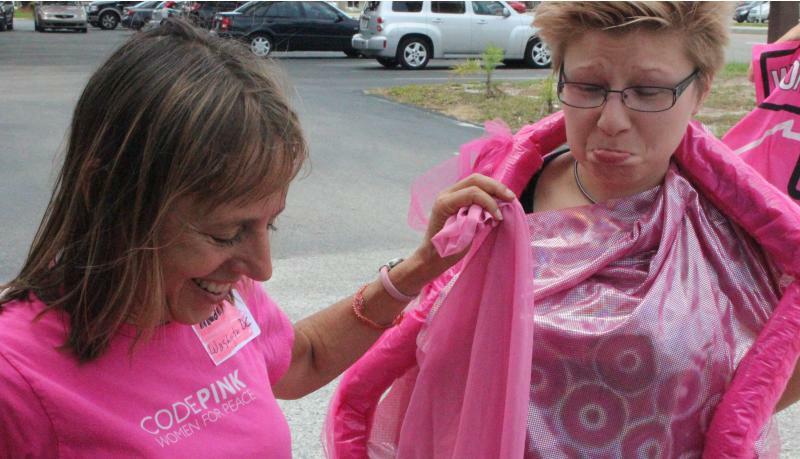 Members of Code Pink led the march in front of Tampa's historic Tampa Theatre past a long line of older people waiting for admittance into the Faith and Freedom rally. The women dressed in hot pink outfits chanted "GOP hear our voice, it's our body, it's our choice." "Mitt Romney: Come to Freeport, IL - Save SENSATA Jobs!" With thousands of out-of-town reporters expected this week, it’s inevitable Tampa gets reduced to a series of exotic stereotypes. And that Tampa is an anti-urbanism dystopia run by paranoid conservatives. 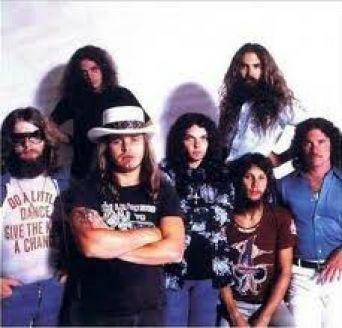 No Lynyrd Skynyrd. No Ann Romney. 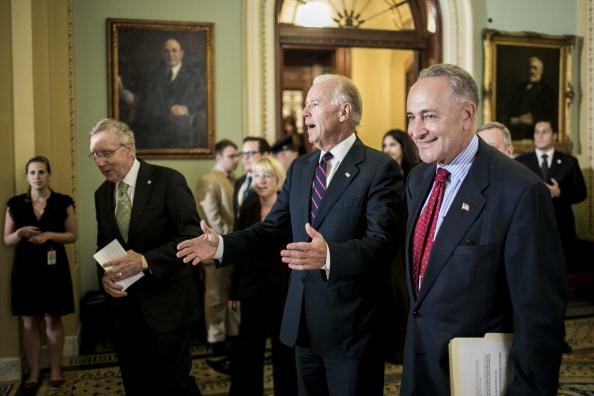 No Joe Biden. And no school for thousands of Tampa Bay area students, including those in Hillsborough and Pinellas counties. 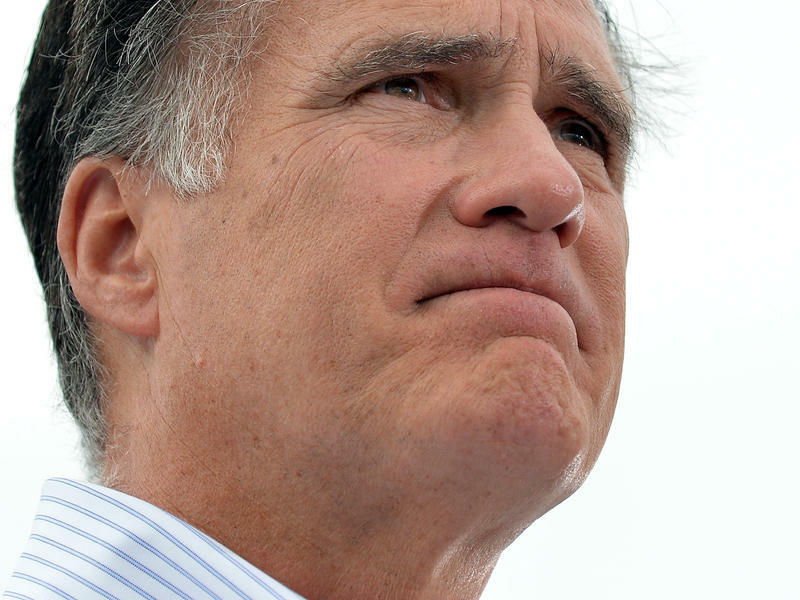 Mitt Romney, 65, has spent the better part of a decade running for president. And as the son of a Michigan governor who headed a Detroit auto company, he's been in the public eye much longer. Yet the former Massachusetts governor has remained an enigma to many voters, his political positions malleable, and much of his business and private life — including his Mormon religion — intentionally obscured. Or simply declared off limits, like years of his tax returns. With Tropical Storm Isaac looming, demonstrators in the downtown Tampa tent encampment known as “Romneyville” are short on emergency plans. "We’re not sure what to do at this point," says Jared Bay, one of the protesters living in Romneyville. 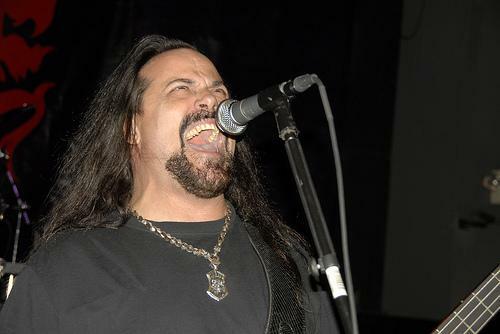 "It will come through and just rip a tent apart. A tent won’t make it." They’re hoping the city will find some space where the group can ride it out. 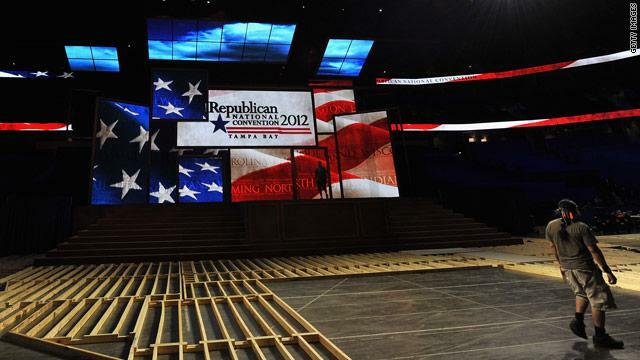 The Republican National Convention won't officially start until Tuesday, thanks to Tropical Storm Isaac. Committee Chairman Reince Priebus announced this evening in a prepared statement that due to severe weather reports, the convention would convene on Monday then immediately recess until Tuesday. "After consulting with Governor Scott, NOAA and local emergency management officials, we are optimistic that we will begin an exciting, robust convention that will nominate the Romney-Ryan ticket," Priebus said. 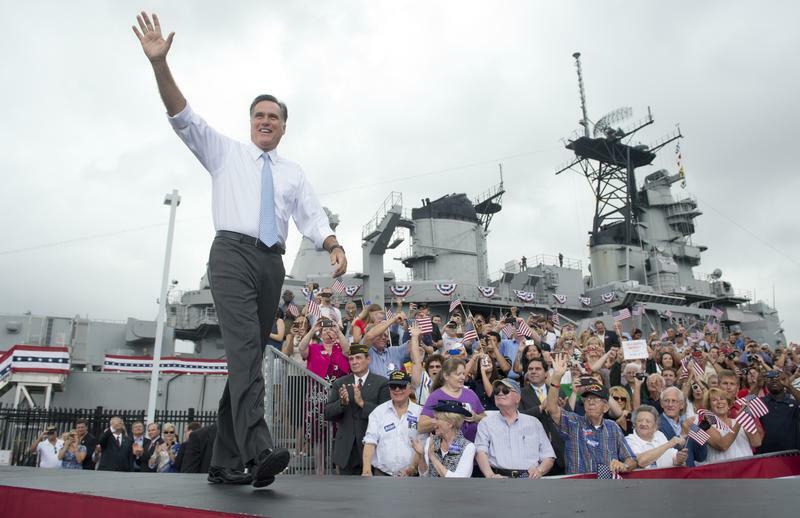 Saddled with low favorability ratings and an unpopular party, the Romney campaign entered the month of August with one imperative: change the public's negative perception of their candidate. But rather than make progress in August, Boston forfeited the entire month — one third of the time prior to the election. That stunning act of political malpractice has raised the stakes of the upcoming GOP convention: Romney needs to make a good showing in Tampa, otherwise it may simply be too late for him to pull off a victory. Tropical Storm Isaac has been difficult to track, but its potential to affect Florida has caused the Republican National Convention to change its plans. Events for Monday have been canceled, though the committee will convene briefly. As Alan Greenblatt reported for It's All Politics, this is now the second-consecutive Republican National Convention to be delayed by a storm. Is Charlotte Having More Fun? Tampa is in the thick of plans for the Republican National Convention, but we thought it would be interesting to see what's happening in Charlotte as the city gears up for the Democratic convention. Here's a look at recent stories. 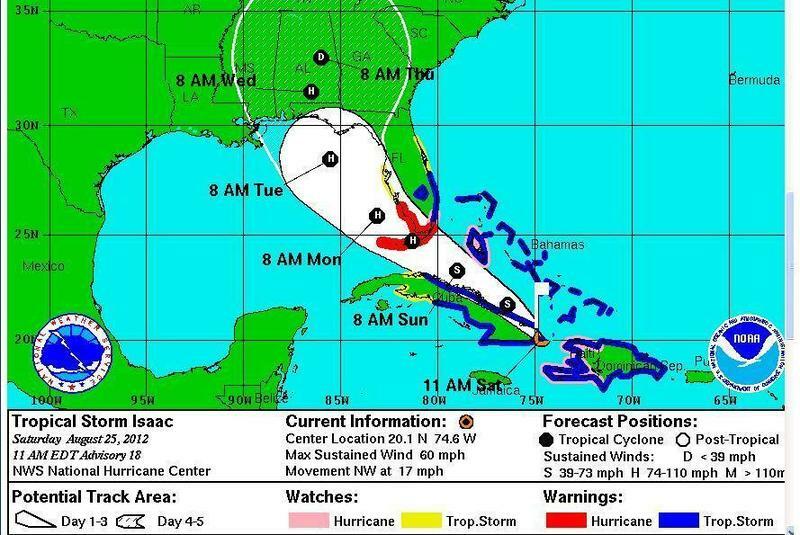 You could almost switch the two cities in headlines, except only Tampa has a hurricane named Isaac to contend with - at the moment. The Tampa Bay Gospel, led by Marvin Winans Jr., is among the roster of special acts booked next week for the Republican National Convention. The lineup features an array of musical talent, from Grammy winners 3 Doors Down to the Oak Ridge Boys to the operatic vocal ensemble, SEVEN. Vice President Joe Biden has scratched his trip to Tampa, the Associated Press is reporting. Tuesday stops in St. Augustine and Orlando are still on for now. Florida U.S. Sen. Marco Rubio will still have a primetime speaking role at the Republican National Convention after organizers turned down his offer to give Ann Romney his spot. 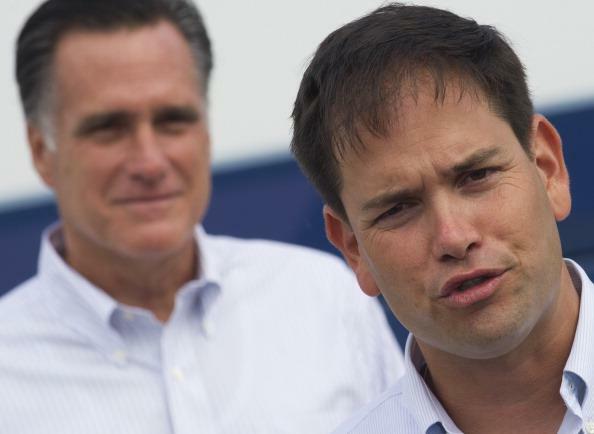 Rubio is scheduled to introduce presumptive GOP nominee Mitt Romney Thursday. Convention organizers wanted to move Ann Romney from Monday night, when national television networks do not plan to cover the event. Ann Romney has been rescheduled for Tuesday night. 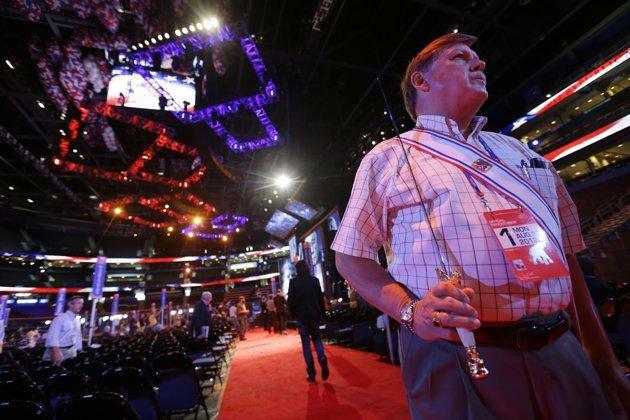 While the inside of the Tampa Bay Times Forum is filled with convention-goers, thousands of people are expected to be outside, trying to get their viewpoints heard. Violent riots have broken out at several recent conventions, so we take a look at how Tampa police are preparing. "We have rights!! We have rights!!" 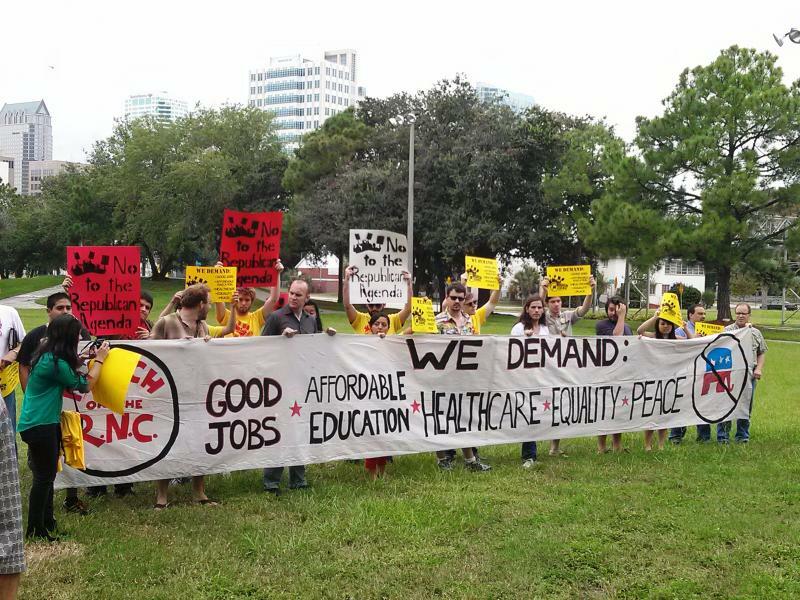 As many as 5,000 protestors are expected to descend on Tampa for the convention next week. 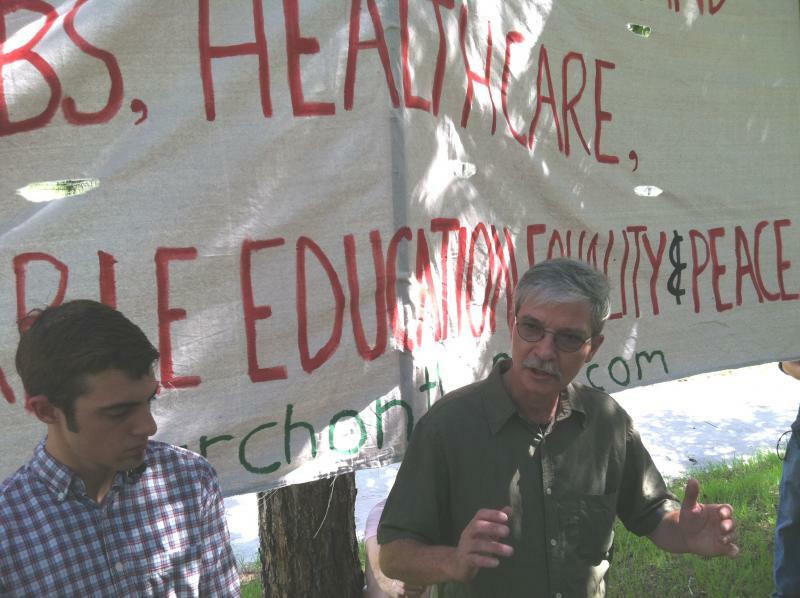 The Coalition to March on the RNC held a press conference on Friday to talk about their planned march for Monday. "The GOP convention's host city is a disaster, and a perfect reflection of where Tea Party politics will lead cities. 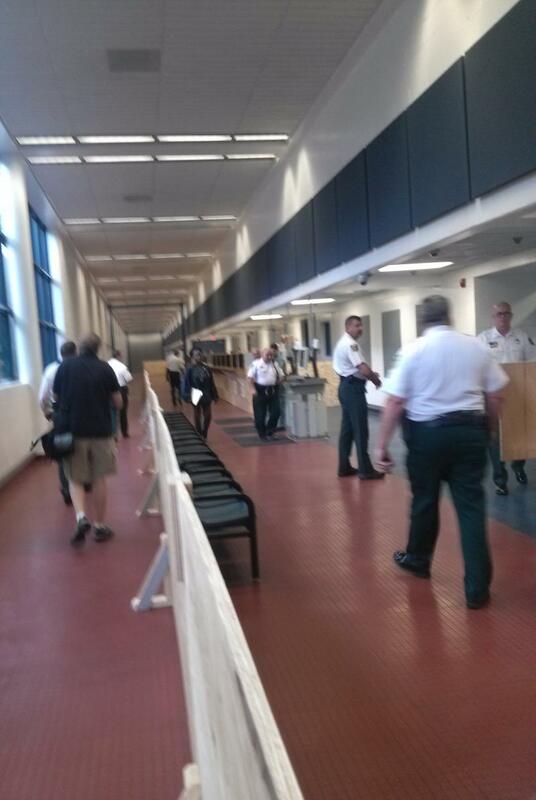 Tampa is a hot urban mess, equal parts Reagan '80s and Paul Ryan 2010s"
Among the places getting a facelift in advance of the Republican National Convention is one location that most hope doesn't get a lot of use--Hillsborough County's Orient Road Jail. Anyone arrested during the Convention will be taken to the facility, where they'll be booked and undergo preliminary court procedures. 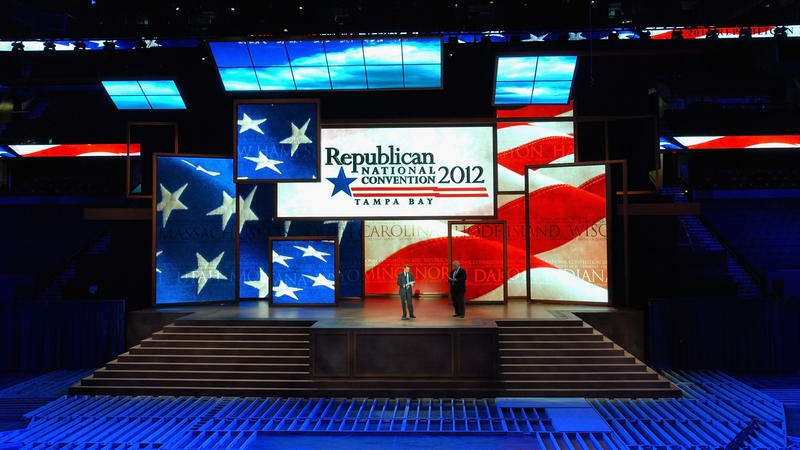 Political conventions are more than just pomp and circumstances, says Tampa Bay Times political editor Adam Smith. He stopped by WUSF's booth at the Tampa Convention Center to talk all things RNC with Carson Cooper during Florida Matters: The Convention Today. The I-4 corridor is the main hub of swing voters in Florida. It also has a strong Hispanic presence - a majority of whom tend to support Democrats. But some Latinos from Tampa are on board with the Republican agenda. One of those Latinos is Ed Gonzalez. He's a pediatric dentist in Tampa with Italian and Spanish roots. It's a fairly common combination in a city where many people are descendants of immigrant cigar makers who came here in the late 1800's. During the next two weeks, the major political parties will assemble their faithful in Tampa, Fla., and Charlotte, N.C., to officially nominate their presidential tickets. 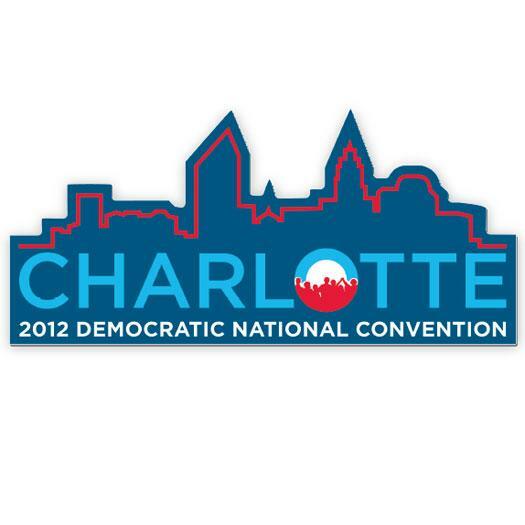 These conventions were once places of high political drama. But over the decades, as the primary system has determined the candidates well in advance, conventions have become political theater. With that in mind, there's much to be said on staging in politics — not substance, but style. Representatives from local, state and federal law enforcement met with the media Thursday at an undisclosed Tampa Bay area site where the Multi-Agency Communications Center (MACC) is located. 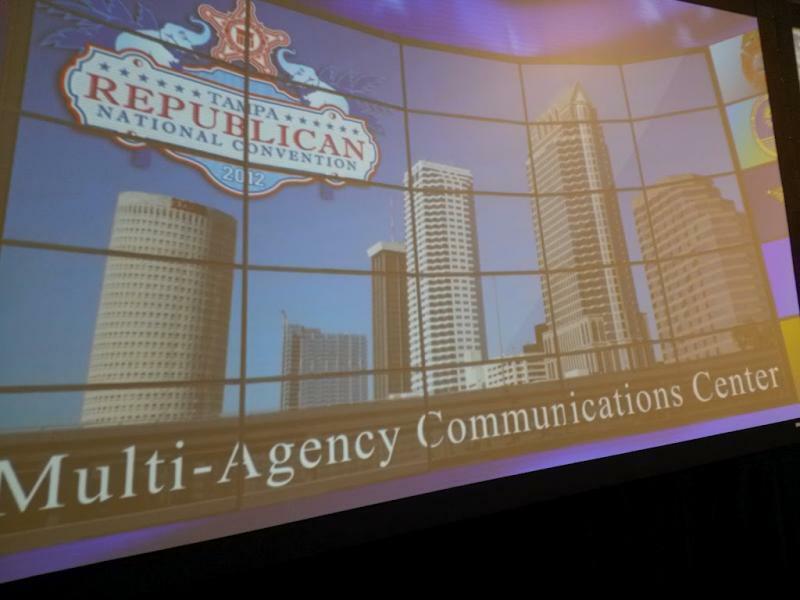 Over the next week, representatives from around 60 groups with ties to the Republican National Convention, ranging from law enforcement to Amtrak to TECO to the Federal Communications Commission, will work together in the MACC. They'll be monitoring everything from traffic to protests to the weather. 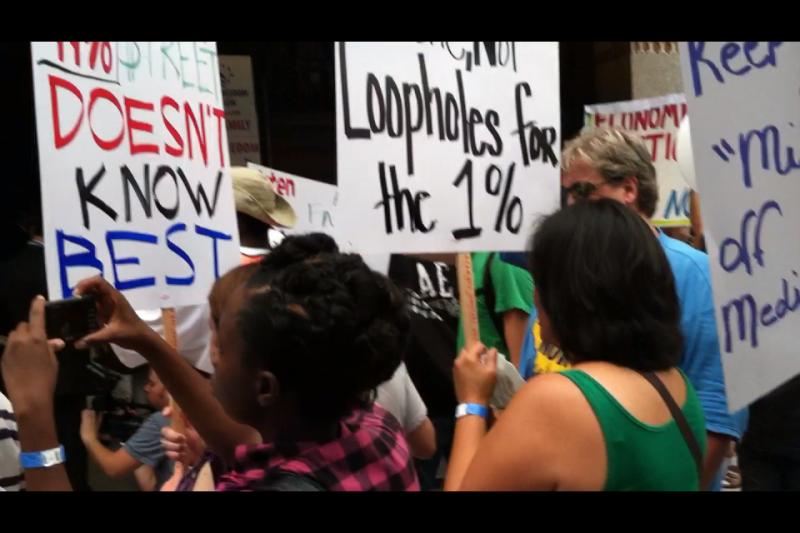 While the inside of the St. Pete Times Forum is filled with convention-goers, thousands of people are expected to be outside, trying to get their viewpoints heard. 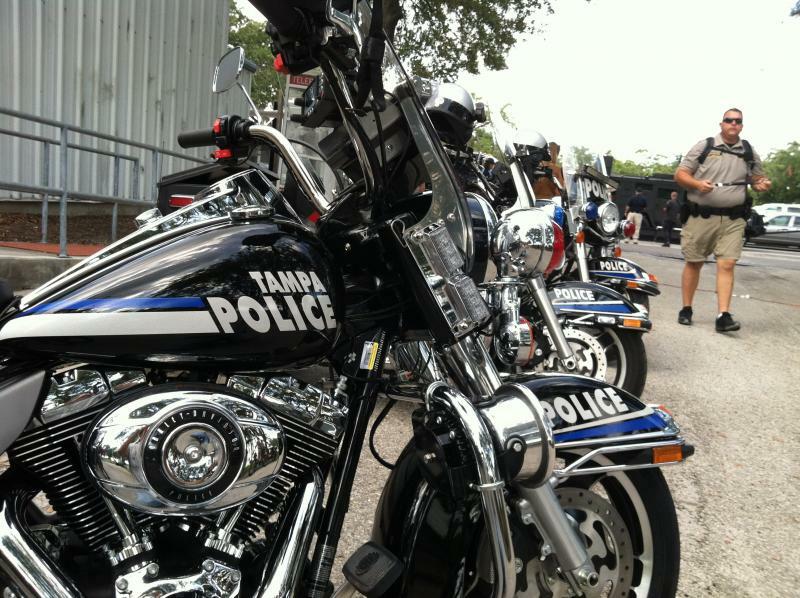 Violent riots have broken out at several recent conventions, so how are Tampa police preparing? They call themselves the Coalition to March on the RNC. They plan a parade of thousands Monday beginning at Perry Harvey Park, a sliver of green on the outskirts of downtown. Their parade will end up at the public viewing area within earshot of the Tampa Bay Times Forum. They plan a peaceful parade to demand petitioning the government for help in getting good jobs, affordable healthcare and education and equality. When Mitt Romney comes to Tampa for the Republican National Convention, he’ll be speaking to a local audience that’s been inundated – not just with rain, but with an unprecedented number of political ads. According to the Washington Post, more money has been spent on political ads in Tampa Bay than any other media market except for Charlotte – host of the Democratic National Convention. Hurricanes and politics don't mix. 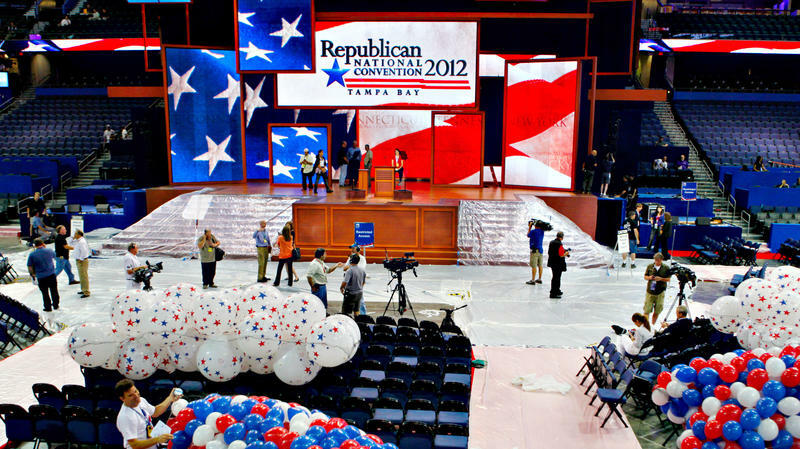 That's why next week's gathering in Tampa, Fla., might be the second-consecutive Republican National Convention to be delayed by a storm. 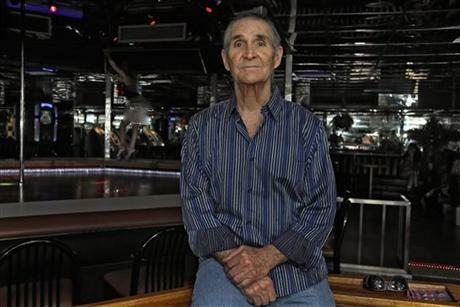 Presidential Campaign Ads Target Seniors In Fla., Younger Voters In N.H. Ask your average American about Florida, and you'll hear something like this: It's hot, it has Disney World, and lots of old people live there. 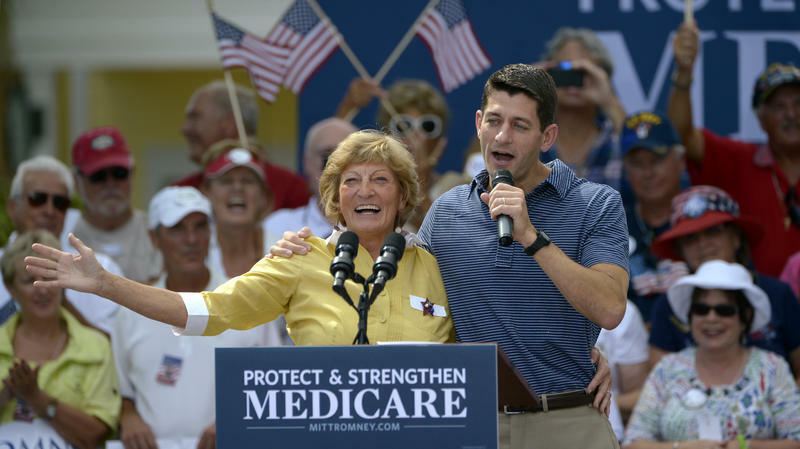 And since the weather and Mickey Mouse don't make good attack ads, both presidential campaigns are trying to scare the bejeezus out of Florida's senior population over Medicare. 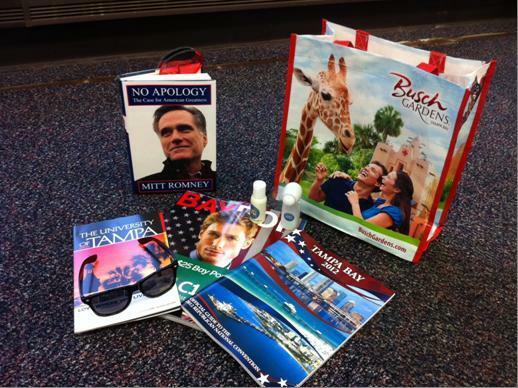 Local vendors are hoping to capitalize on the Republican National Convention. One woman is hoping to not only promote her favorite candidate, Mitt Romney, but also make some money and get some recognition for her unique form of political art. 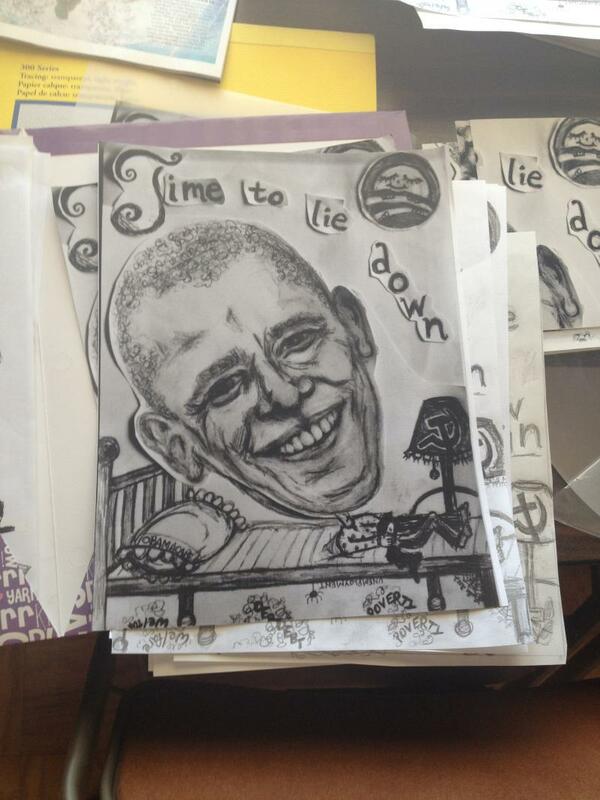 It's a once in a lifetime opportunity for Laura Silverthorn and her art. She ruffles through a pile of sketches and collages. "So I kind of got into the political stuff a few years ago and liked it, and now that the RNC is so close I feel like its kind of pointing me that way," she says.